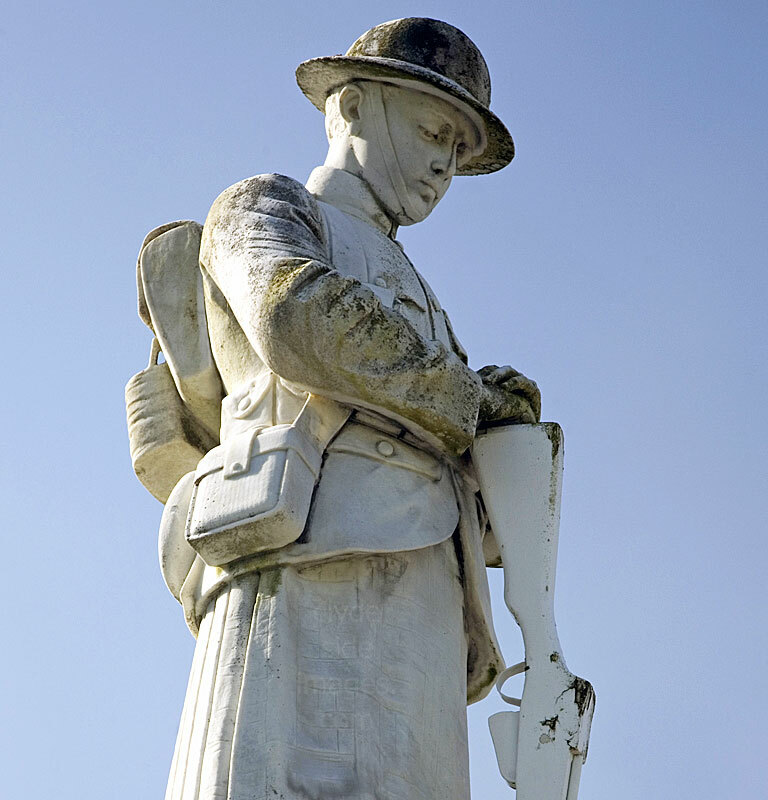 I have a large collection of War Memorial images, both in the UK and abroad and this section is due to be revamped with memorials listed in their respective regional locations etc* This page covers War Memorials in Invernes-shire . Click here for (Link) the City of Inverness*. ​The Fort William war memorial commemorates the men of the town and surrounding district who lost their lives in both World Wars. It lists 116 names from the Great War and 33 names from the Second with an additional casualty from the Gulf War. Another figure stands close to the war memorial at the north end of the High Street. 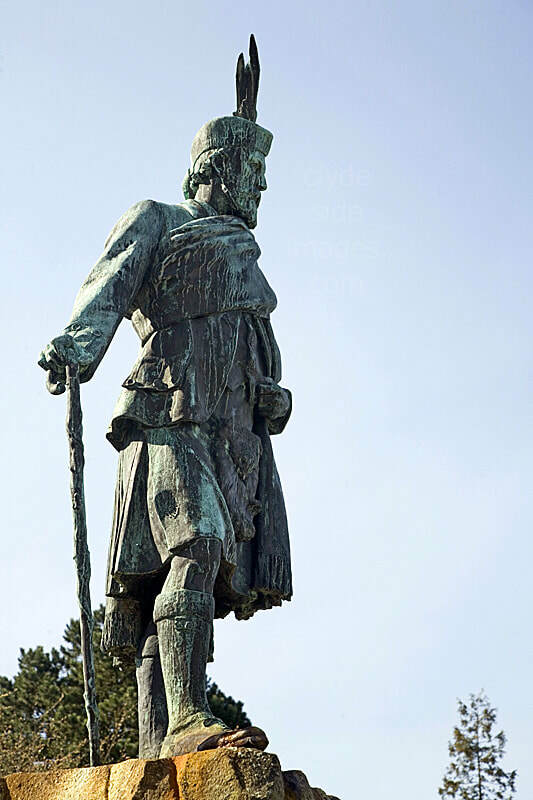 This is a statue of Donald Cameron of Lochiel, (1835-1906) 24th Chief of the Clan Cameron. He was Lord Lieutenant of Inverness-shire and also served for a time as the county`s Member of Parliament. The inscription on the base of the memorial reads: "Donald Cameron of Lochiel, descendant of Donald Dubh, 24th chief of the Clan Cameron, Lord Lieutenant of Inverness-shire for many years, Member of Parliament. He was born 1835; he died 1906. This monument was erected by clansmen and friends as an acknowledgement of his humanity and his esteem and their respect for the noble gentleman". 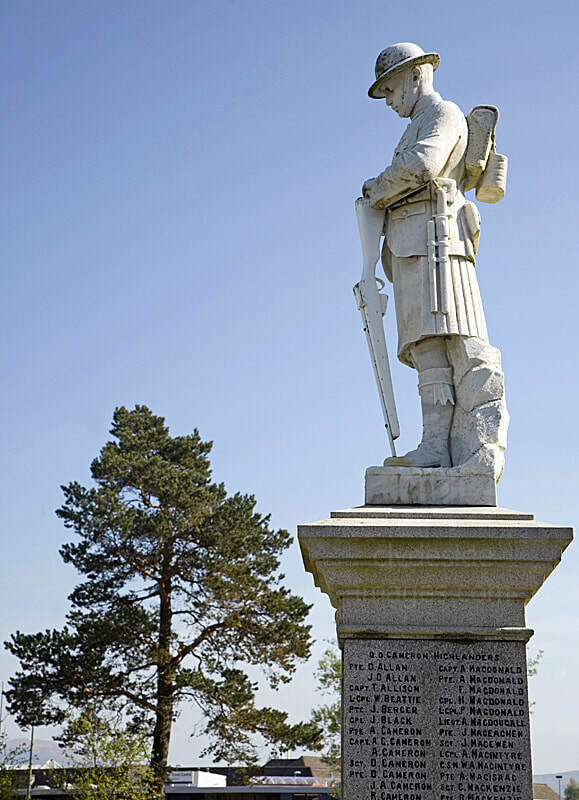 ​This is the Glenfinnan War Memorial which stands at the roadside just a short distance west of the famous Glenfinnan Monument. The classic view of the Jacobite Memorial, looking down Loch Shiel, has featured in countless calenders. Contrary to popular belief, the kilted figure on top of the column does not represent Bonnie Prince Charlie, but the Highlanders who fought and died for the Jacobite cause during the 1745 Rebellion. The Glenfinnan War Memorial was unveiled on Saturday 19 September 1925. Closer inspection reveals that the soldier is now holding a wooden rifle and that the figure is actually facing in the opposite direction from the side of the base listing the names of the Fallen. The main A830 Fort William to Mallaig road originally passed to the south, below the memorial but during a major route upgrade in the 1960s, the memorial was dismantled and removed for safekeeping while blasting took place. The new road bypassed the memorial on the north side but when the sculpture was reassembled, the figure was positioned incorrectly, looking over A830 rather than southwards towards Loch Shiel and the surrounding mountains. Glenfinnan Catholic Church is located close to the War Memorial. Designed in the Gothic style by E Welby Pugin, the building occupies a fine site which looks out over the loch. 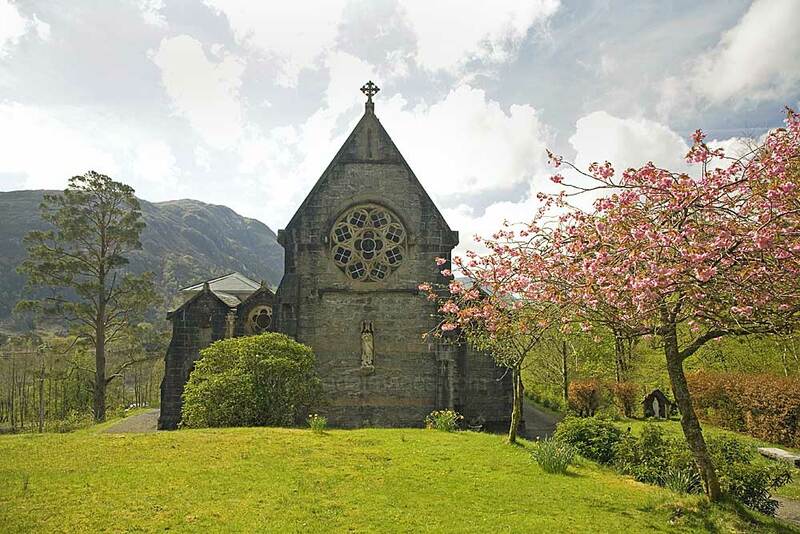 Contained within is a memorial chapel to the MacDonalds of Glenaladale, the family with whom Bonnie Prince Charlie stayed prior to raising the Jacobite standard at the head of Loch Shiel in August 1745. There are also memorial stones to the Prince and members of the MacDonald clan.